PERSONALIZE ANY OF OUR ITEMS YOUR WAY. 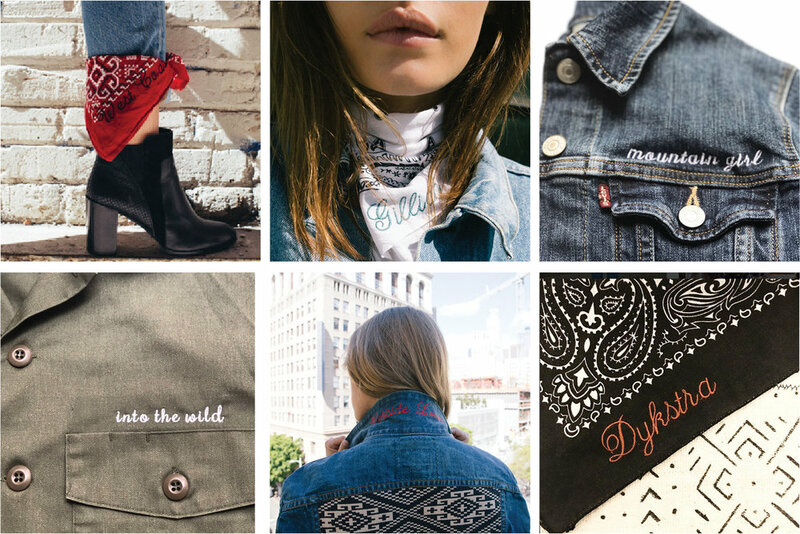 All of our pieces can be custom embroidered with your name, initials or phrase of your choice! To get a better idea of font, placement and capitalization see our examples below. Your item can be embroidered from one of the below three fonts. Choose from the below thread colors. - We will embroider exactly as you type out (including capitalization), PLEASE double check your spelling. - All customized items are final sale and cannot be exchanged as they were made specifically for you. 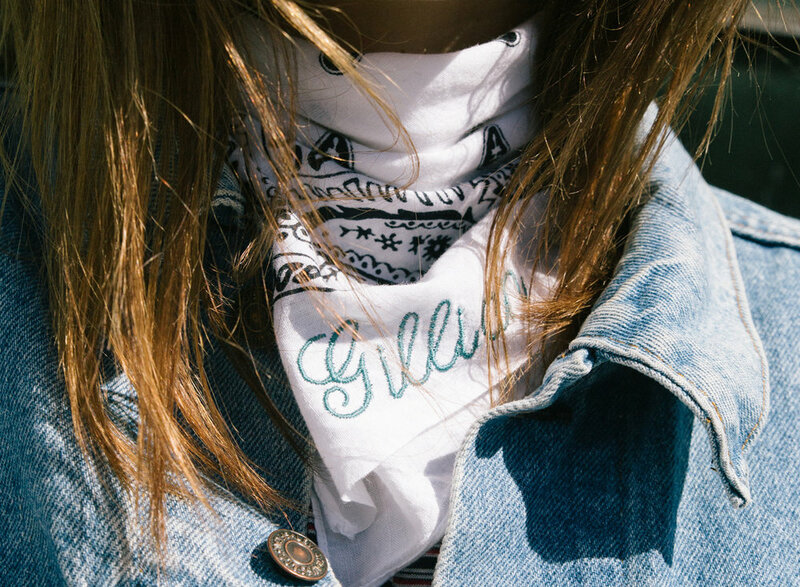 - If you would like to see a preview of what you would like monogrammed in our different font options before purchasing, please email us at: sales@gullandmarie.com We would be happy to email you a digital preview so you can narrow down your decision!